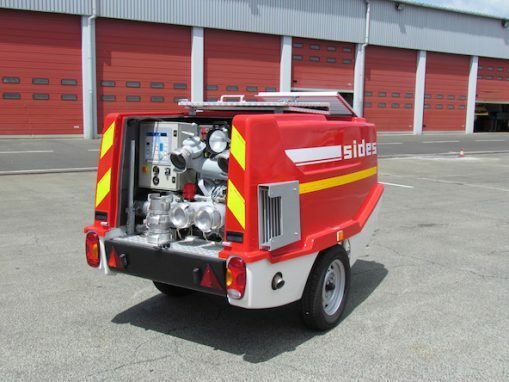 The Sides pump unit is available as a petrol or diesel version and is deigned for a range of different uses, including aspiration in areas that heavy engines cannot access, relay supply operations, and clearing and surveillance operations. + Functions managed using the same S-Control dashboard as the pump trucks in the range. + Draw bar can be height-adjusted instantly without the need for tools. 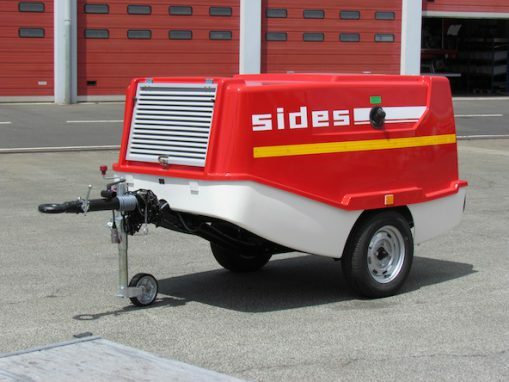 + Controls accessed via a tailgate, with no wind factor. + Air holes in the base to lower the centre of gravity. + Independent, self-damping suspension on each wheel for all-terrain capability. + Motor based on automotive technology.